Looking forward to more posts from the hungry birds. meidän koulussa perunat on kuorittu valmiiksi. In our school we don't have to peel our potatoes. Again it looks really nice! I love unpeeled potatoes, more taste, especially when roasted! Yum! So glad to hear Finland realizes the logic of feeding hungry minds with food so they can absorb more learning! Hienoa lukea suomalaisesta kouluruokailusta kansainvälisen maineen saavuttaneesta blogista. 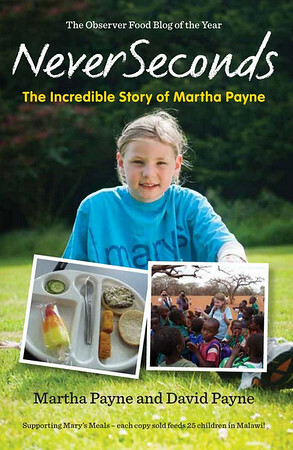 It's great to read about the Finnish school lunch system in an internationally followed blog. The popatoes peel are the best part. I don't know why anyone would peel them. Quite easy: Potatoes have some very toxic parts. Leaves, fruits, sprouts and stems all contain a large amount of glycoalkaloid, which can cause headaches, diarrhea, cramps, and in severe cases coma and deaths. In the tuber - that part of the potatoe which we eat ^^ - the highest concentration of glycoalkaloid is to be found directly beneath the peel. The amount is normally uncritical, but (!) due to age and exposure to light, the amount might get higher. Usually it can be connected with the greening seen on potatoes, when they are exposed to light for too long. So peeling potatoes is the best way to spot those greened parts, that might be not good to Your health, if consumed in large amounts. I agree with OssoZ, especially because almost all of the vitamins and minerals in the potato are in the peel. If the potato has green parts you can usually see it through the peel or by cutting into your potato to check before you eat it. I prefer to eat the skin on the potatoes as long as they've been washed well. That salad sounds yummy! In Peru we also eat cooked potatoes with most of our food, but we peel it after the potatoes are cooked and serve it without the skin. So, yeah, we understand how much it burns sometimes, but most of our mothers tell us to get use to it. Nothing close to the Pesto Genovese I know.. and also not like Pesto Rosso..
Pesto (Genovese or Rosso) is real good with grilled fish.. And in Mexico, the mexican version of Pesto - Salsa sauce - is also often served with fish. Looks delicious, not sure about the fish but would definitely try it. Always try something at least once and then again in 5 years because your taste will change. I like the skin on my potatoes because that's where all the potassium is. Gotta have the vitamins from that too. Saako teillä OIKEESTI potut kuorellisina? Meillä ne on kuorittu valmiiks ja kun ne kuorettomina kiertoilmauunissa tehdään niiden pinta on sitä hyvin kuuluisaa kumiperunaa, olkaa onnellisia että saatte maukkaita ja ei-kuivia perunoita vaikka sitten jouduttekin kuorimaan. In our school we have the potatoes peeled before cooking so they are always a bit dry - a "rubberpotato" is here very known name for the potatoes we get in school. :D I would love to get unpeeled potatoes, they taste so much better and they aren't dry! At home we eat potatoes unpeeled - with their skin - if it's summer and they have been picked up lately. Of course they have to be washed well but it's worth it, they taste YUMMY! Really really good! I love this entire Blog! The following remark is rather politically incorrect but I wonder how obvious it becomes through the NeverSeconds Blog that North American meals generally look significantly less healthy than those from any other country. They really should think about it. Jamie Oliver tried to start some changes with his Food Revolution project. Now this blog... Keep up the good work!!! It's widely known that obesity rates also for European Countries are growing alarmingly fast. With this blog we see great examples of "food awareness" all over the world. And it's really great to see so many great meals like this one from Finland! I've been to Finland many times and at one restaurant or rather sort of public canteen there was a great concept offered: instead of typical "all-you-can-eat" Brunch they served "fish soup flat-rate". And believe me, the fish soup was fantastic! I agree. Great awareness raising! And if You know how to do it - and there's all You need for that on the internet - preparing a healthy meal isn't that much work either. If You got all the ingredients needed at home, it takes about as much time to make a pizza Yourself, than to call a pizza service to deliver one. Cooking some pasta with fresh vegetables Yourself doesn't take that much longer, than to put a frozen meal into the microwave. I won't argue with that. The trouble is also that the current generation of young adults had already been raised on the convenience culture, so many either don't see it that way, and some just haven't the foggiest idea of how to cook, and feel frightened or intimidated by it. I'm not making excuses, only pointing out what needs to change. And yes, often it's just plain lazy. I personally love to cook, enjoy using fresh ingredients, and I'm glad I grew up in a family that valued cooking. Also, in the cases of school food, even at the university level, when one is forced to purchase a meal plan, one will eat what's available because it's paid for already. It's a systemic issue for sure. Interesting that all school meals are free in Finland. Good that you explained they have been free since 1948. At the moment in the UK you only get free school meals if your parent's income is below a certain level. In Scotland there has been a debate about whether all kids should get them free but I think that has now stopped because of the poor economic situation. It would be interesting to hear if there are free school meals in other countries. 65 cents seems very cheap for your meals. Does this include all the costs such as the cook's wages, gas, electricity etc. and not just the cost of the food? Does every school have its own kitchen or are some schools supplied from a central location? Do Finnish schools keep financial accounts of what they spend on school meals, so that an individual school knows the cost of each meal? There are many similarities between Scotland and Finland in terms of population size, climate and industrial heritage and I know that on at least one occasion Scottish government leaders visited Finland to see if they could learn anything from the Finnish education system. 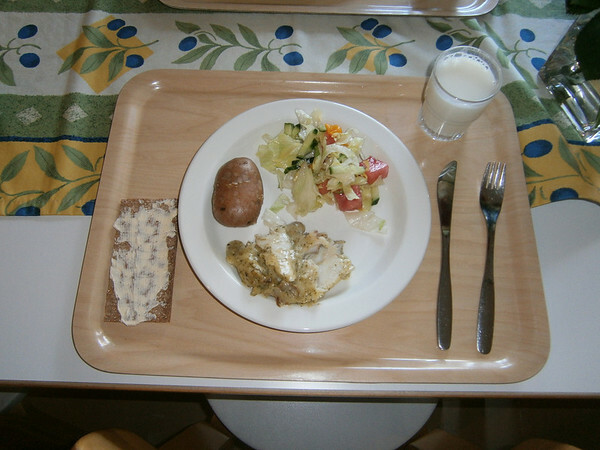 Don't whether they sampled the free school meals but I am looking forward to seeing more meals from Finland so that we can compare the quality and quantity with the Lochgilphead meals presented in VEG's early blogs. I wonder if VEG's cost of £2 (e2.50) was a commercial rate including profit to the catering company and whether VEG's dad ever discussed value for money with the councillors or administrators? Hi, I'm from Finland and I think I can answer at least a few of your questions. Most larger schools have their own kitchen where the food is made, but as I understand, some of the smaller schools have food brought for them from a central kitchen of some type. For example some day care centers are so small that they might not have their own kitchen and get food deliveries from a nearby school. But I think it's more common for every school to have their own kitchen, I personally have never seen one without it's own kitchen, but I've heard that may be done in smaller cities (I live in the capital). In the comments there has been some opinions that the food looks dull and maybe not that appetizing. I'm old enough so that I've finished school long ago and now that I have some perspective I can really appreciate the free and still nutricious meals! When we were kids we might complain about certain foods, but most of it we would eat with pleasure. I remember loving pea soup, spinage soup, spinage-pancakes with cranberry jam, minced meat sause and so on and so on, we actually had many favourites, and were excited when those were served! Also from reading this blog I've seen that some school only rotate their food weekly or may even have the same three options day in day out... In finland we have theme-weeks and may have a week of thai inspired food or a veggie-week, and also the basic food rotates a lot, there's always atleast a few weeks between the same meal being on the menu again, and usually the ones that come up on the menu more often are the ones that are the childrens favourites. Well I can only talk from my experience, the only schools I've known to have a central location where food comes from are small and rural ones. One should remember that in 1943 Finland was fighting for its existance against the Soviet Union (and had already lost important agricultural areas in the previous war) so the situation probably could not have been worse (the famine was close in the spring of 1942). And in 1948 we were just out of the war and in the middle of paying war reparations to the Soviet Union (about 4 billion euros in todays money) and relocating 420 000 people (about 12% of the total population) who had been evacuated from the ceded areas. I also eat the potato skins. And I'm impressed that you're taught table manners in school. Having seen the decline of basic table manners in Australia I think it's an excellent idea ! I know 8 year olds that cannot use a knife or fork - horrendous ! If I'd eaten with my hands at that age I would have been sent to bed without any dinner. I'm not sure about Pesto on fish, I'd prefer lemon juice or maybe Salsa (as mentioned by MaikD). The salad sounds fantastic, I think I should try it ! I think well, that to talk to myself somebody closely about the food of the children in the school. Since in a lot of lands one always hears resembles. The children should receive healthy food and the contrary is him fall. It must still change a lot in the food of the school children. Jamie Oliver has done the beginning and it should be taken from itself an example in it. This is a comment from Mercator Web.